Christine has been working as an experienced stylist for 20 years. 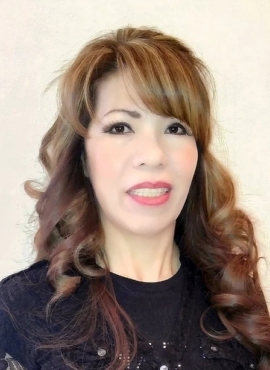 She is certified in Japanese Thermal Straightening Treatments, Brazilian Blowouts, La Braziliana Keratin Treatments, as well as Kerastase Keratin Smoothing Treatments. Other services Christine has mastered include anti-curl relaxers, body waves, color, foil highlights, free-form highlights, bridal up-do’s, and hair designs for any special occasion.